I have been Back To School Clothes shopping, slowly, the past month. With three kids, this adds up really fast and can get very expensive! Now, there is excitement that comes with the whole “new clothes” factor but, let’s face it, sometimes you can’t always afford that one specific piece you’re after. 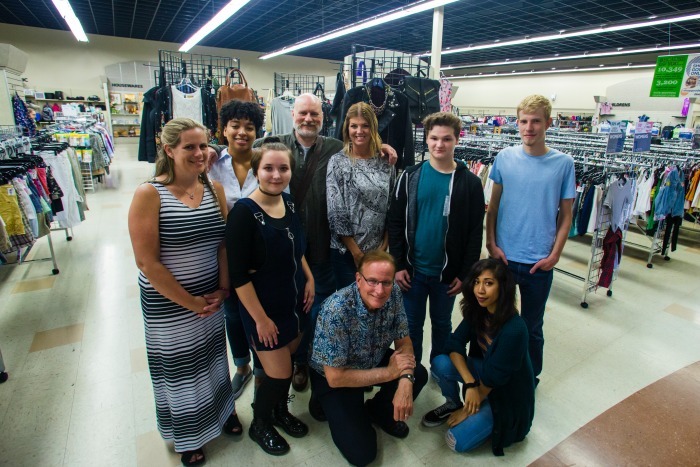 I was so excited to be invited by Goodwill to attend an event in their store and for them to sponsor this article. 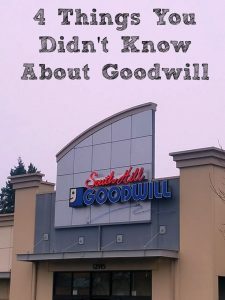 You may remember, I have shared before, 4 Things You Didn’t Know About Goodwill . I covered all the amazing programs that Goodwill Olympics & Rainier Region brings to my local part of Washington state. 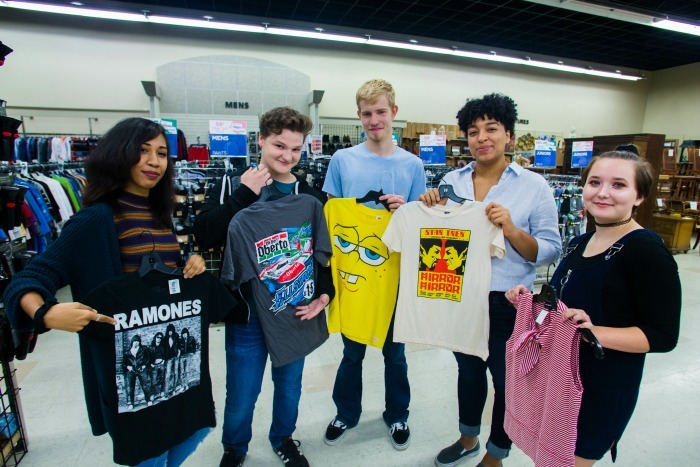 With back to school on my mind and getting my kids ready to get back to the grind, I jumped at the chance to learn more about what Goodwill is doing to help get the community ready for back to school. Now, I live by one of the busiest Goodwills in my area. They set record numbers for donations which is attributed to the fact that they’re not on they’re off the main road right next to quite a few towns. 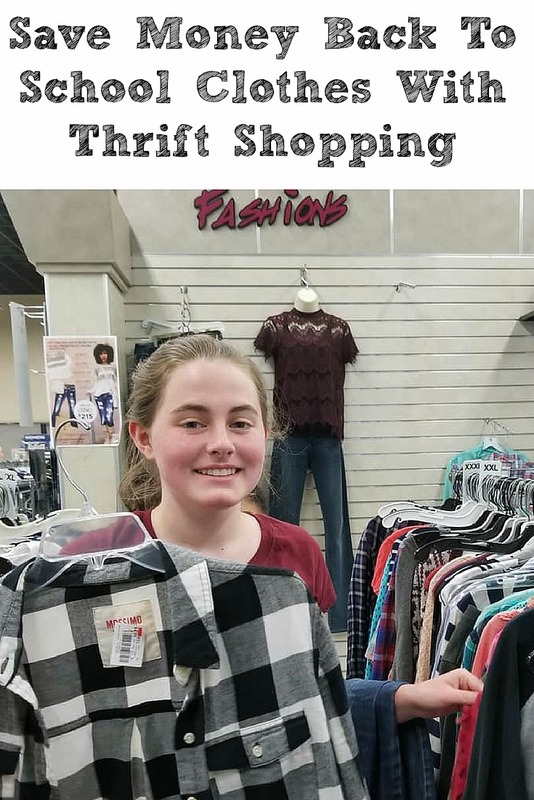 I was really surprised to learn how many high school aged kids were into “thrifty” right now, and I loved that Goodwill has seen the value in the business from this age group. While I was at the store, they had teens talking about what is in and trending right now in their schools. As a mom of a 13-year-old, this was great information! I love that Goodwill also brought in two young men to talk about what the boys are wearing since I know boys have gotten into style a lot more these days as well. 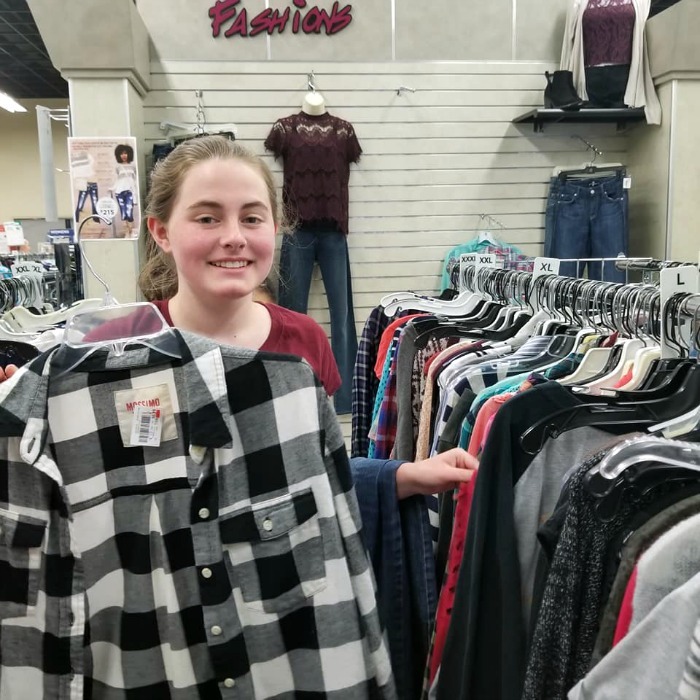 Not only did I get to talk to the teens but, I had the chance to talk a lot to George White and the South Hill Goodwill manager about how they are embracing the business from teens. I had no idea that my school district requires Seniors to do community service to volunteer (total win in my opinion) and Goodwill has the teens fill out background checks and treat volunteering at the store as a job experience to prepare them for real life. I loved that they take input from their teen volunteers and their teen employees to set up displays and to choose what goes in the junior sections of this location! Even the fact that they had separated out a young men’s section was really neat too. As you can tell, my teen had no problem finding a deal right away! We had passed on a top just like this, at a store, for $25 and this was only $4.99! Did you know that National Thrift Shop Day is Aug 17?? Head on over -> here to sign up for their newsletter for a special coupon for that day and all year round updates!! Plus, on Labor day, save 50% off all clothing, accessories, shoes, and furniture for THAT DAY ONLY. This is one of my favorite days at Goodwill. I plan to go get some new jeans for my weight loss transition as I shrink! 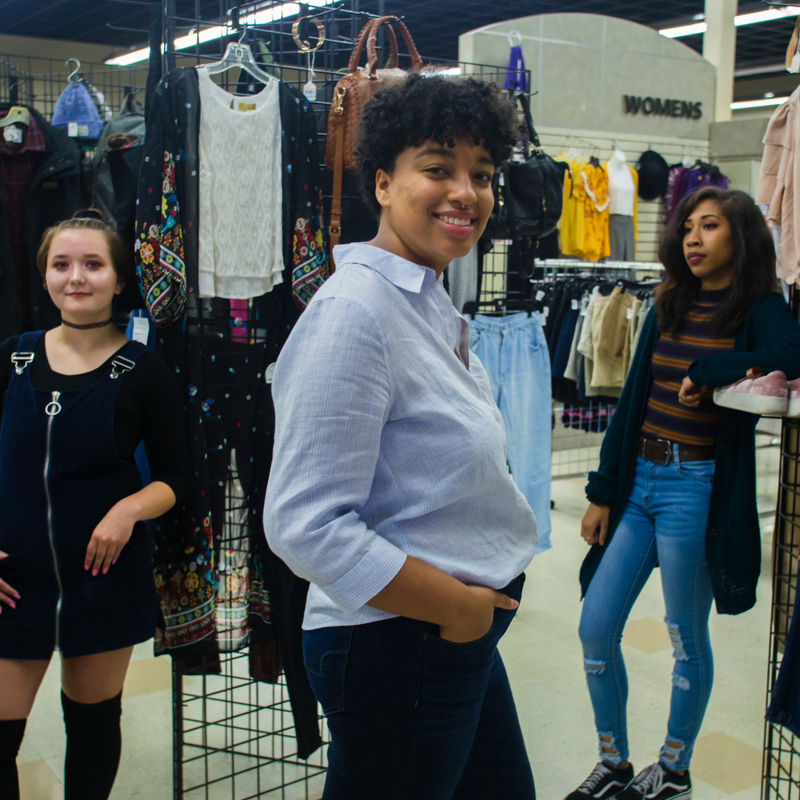 The absolute best part of shopping at Goodwill is you are supporting jobs in our local community as well as job training! Before January, I thought Goodwill was just a place to save money. Now, I know how much they truly benefit our community. Head on over -> here to see all the amazing programs they offer! 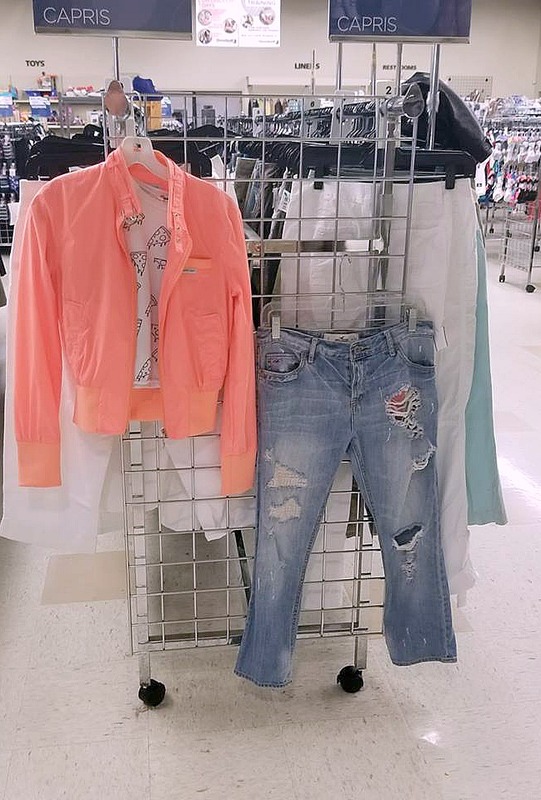 What are the fashion items you’re after at Goodwill this year? Are you done with back to school shopping yet? I actually haven’t even started the school clothes shopping yet, but I’m done with the supplies – half way there 😉 I will have to check out the labor day sale! Thanks for the info for what’s in style for the younger crowd!